If you have adopted the simple way to grow the money, that is not beneficial as well as that will be taken more time. So, the best way to use the power of compounding. Compounding is the process, which helps to provide more benefit to the investor in a short period. Every investor gets the benefit on his investment and that is called simple interest. This interest calculates for a year. Compounding interest provides benefit from the 2nd-year investment like this - 1st-year investment + Interest + 2nd-year investment + Interest. So, in that way, an investor gets the interest on interest. This is the power of the compounding formula. Compounding is working like the snowball. At first, it starts off small, and as it rolls on and picks up momentum, it grows in size consistently and provides a good result. Compounding reaches a substantially larger size than its original. This is very calculative math. If you stay invested for the long-term or period, your investment can experience a growth momentum over time. The best way of investment is to start as modest investments and as time passes that will increase little by little. This little addition makes your investment return more attractive and beneficial. As discussed above, I would like to say that your investment (principal) earns returns or interest at a certain percentage. The meaning of process is - this return or interest gets added to your capital. Similarly, the process repeats itself, only this time the principal investment you start with is bigger, as it contains the interest generated. The bigger block of money generates interest again. This is the beauty of compounding interest. 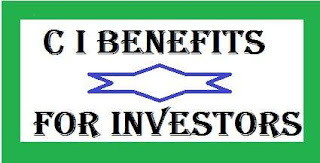 That serves the benefit for investors every year from the principal invested amount. That means every time the process repeats after the first time, you start with money that generates money to end up with more money and earning benefits. The best way to start your investment as earlier as possible. The earlier you start the more you will save. Second, the higher the rate of returns the more you can accumulate. The longer you save for the more pronounced the effects of compounding. This is a fact and tips for an investor. A good investor always tries to optimize investment of his money as a SIP, where they can get more interest in a short time. Compounding is the tools, which is very relevant in the present scenario that process can help you to beat the inflation effect on your income and investment. This will reduce the impact on your wealth. Multiply the value of money instantly.